Hello! Happy Sunday! Hope you've had a great weekend so far! Our has been filled with kid birthdays so it's been fun! This week we had some unseasonable warm weather and all the snow melted! As nice as that was it was messy and everything was becoming brown! Yesterday we awoke to a beautiful winter wonderland as it snowed most of the night! Feels so much more like Christmas is on it's way! I want to say thank you so much for your super kind and sweet comments on my last post regarding my first class! You made my heart happy! :> I am blessed to call you friends! For this one I used my favorite reindeer stamp and paper pieced it with some red and cream striped paper! And stamped in white the magical background stamp and added the joy sentiment and some twine by the twinery! I made 8 of each of these tags. My plan is to give 4 of each to two different teachers for Christmas. Tags would make a good gift? Still have a few more to work on! So I have a cute story to share with you. On Wednesday Carter was over at my SIL's house playing with his cousin Cameron who is 6 months older than him. She overheard while they were playing: Carter_ "I love you Cameron" Cameron- "I love you too Carter!" LOL Later that day at Chad's grandmother's when we were leaving Carter goes up to Cameron and hugs him and kisses his cheek, Cameron gets right in on the action hugging back and kissing! We had to separate them to go! :> Last night when putting Carter to bed I told him that tomorrow we would be going to church he told me "Mommy tomorrow I tell Cameron that I love him!" So cute! Oh I have another story. Ariel is a pretty good student. But she has been struggling with spelling. It was almost like she wasn't trying. And that annoys me not everything can come easy and subjects that are harder for her she should at least try. If she tried and didn't do well that's another story! It was frustrating to get her to study for it. Last weekend she mentioned to me that her classmate told her that if she gets all her words right (10) her mom told her she would buy her something crafty. I told Ariel oh yeah if you get them all right I will buy you a crafty thing too! They write there spelling tests twice once on Wednesday and than on Friday (if they get it all right Wednesday they don't have to write it again) Well when I picked her up on Wednesday I asked her in passing how she did on her spelling test. She says matter of factly oh I got them all right! WHAT? I was shocked! Hmm I suppose she needed the right motivation! So I took her right away to the dollar store (would have taken her to Michaels and bought her anything she wanted but she wanted to go there!) And spent $2! She was so happy and proud! And I told her I would do it every week! Oh and I made a big deal Wednesday and Thursday night how now she didn't have to study spelling since she got it all right. And she gets it on the first try!!!!!! Yesh she is so much smarter than she lets on! This week I have a few things up the best of which is Ariel's Christmas concert! :> She is singing a duet and I can't wait to share that with you! I am also going to be hard at work studying as I am going to write my second real estate test on Monday Dec 5th! Eek but I want to get it over with before the true bussle of the season starts! See you soon! Hope you have a terrific Sunday! Hello! Last Thursday I taught my first ever cardmaking class! This month I joined my LSS design team, Scrapbooking by Design! You can see the bio about me here. I love that store and am so happy to be teaching there! This is a real dream come true because I love people and I love working with them! (The past few years I've realized what makes me happy is being around people which means I want to work with them! Another reason why I choose Real Estate!) For my first class with this time of year I of course was going to do holiday cards! I decided to work with my favorite stamp set by my favorite stamp company Hero Arts, The Greatest Gift! Next time I will remember to take a photo of my "students" looking and smiling! :> In case any of you are reading this (you never know!) Hi! Thanks for taking my class! Hope your having a great crafty day! Hello! 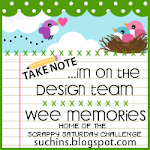 It's Saturday and I am here with a new Wee Memories Scrappy Saturday Challenge! It's a beautiful winter wonderland over here as it's been snowing! Not much snow but still it's gorgeous! Last winter we got sooo much snow and than such a dry summer so bring on the snow! 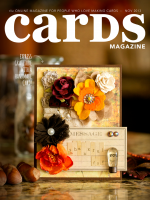 Very happy to share that I had a tag picked up publication in April 2012 Cards magazine! So happy to see that email in my box yesterday! Totally doing the happy dance! Our sponsor is the fantastic The Craft's Meow! They have really great stamps and Jenny Suchin designs for them! Check out her stamps here. So the mail man is very slow and I haven't received my stamps yet! :< It should be here SOON as in I bet Monday knowing how that works! I do have a card to share using a Reindeer as that's a woodland animal, right? I paper pierced the reindeer with some October Afternoon paper. I really enjoyed making this card! The reindeer stamp was on my list last year but I never did get it you can imagine how happy I was to find it this year! Well I am off, I will be back soon to share photos and my experience teaching my first ever class! I hope you will join us don't forget you have two weeks to play! Do check out the Wee Memories blog as I am kidding you not the design team did more than wowed!!!!!!!!! I stamped and embossed the nativity scene in white on watercolor paper. Than I colored the whole paper with tumbled glass and broken china th distress inks all over and spray it with a mixture of perfect pearls and water. After it dried I stamped the sentiment and stamped stars with versamark all over. Than took a brush with perfect pearls and brushed it across the versamark stars, love the sparkly holy night it created! I wanted to say thank you for all your sweet comment regarding Ariel's birthday party! I loved doing it all to celebrate her and she loved it! Reading your sweet comments made me smile! Well sorry this post is so short, I still have some prep work to do! :> I hope to be back tomorrow with some pictures from my first class! Hello! 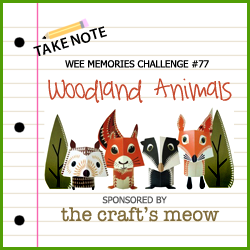 It's Saturday and I am here with a new Wee Memories Scrappy Saturday Challenge! This week we have a fun challenge, Birthday and Parties! 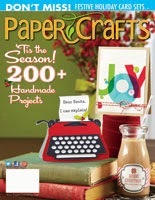 Our sponsor this week is Nikki Sivils Scrapbooker!!!! For our winner we have a paper pack!! This challenge is perfect for me as my daughter Ariel just celebrated her 6th Birthday (I have a birthday post underneath this one) I have A LOT to share today! The invitations were a HUGE hit! When the parents RSVP they had such lovely things to say! :> And the girls loved them! When I started the invitation I was thinking of doing a fairy party but than I told Ariel that it could be a fairy party or a ballerina party. And she choose ballerina! We made wands. I looked online and was horrified by how many sites were to actually make magical wands instead of kids wands like I put in! Check out this link for the ones we made. I hope that you will join us this week with our challenge of birthdays and parties! Please check out the Wee Memories blog for more info and to be further inspired by all the designers! You have until Friday November 18th at 11:59 pst!!!! I hope that you enjoyed my post! It took a really long time to write up! Ariel has been such a joy and blessing in our life. As a small baby she was a colicky baby and I remember being up many long nights trying to get her to stop crying. She grew into such a happy baby. She was easy to nurse and to feed to this day usually eats whatever is placed in front of her. I remember when she was two and begging me for my veggies and dip! She was a curious toddler. She got into many things like the toilet, vaseline (many times that I finally removed all vaseline from our house!) cornstarch, peanut butter up to her elbows and all over (that's how I figured out she wasn't allergic at 15 months!) And anything else she could! We found it so amusing and cute! She was delightful and everyone loved her and commented on her beauty! As she has grown into a little girl she amazed us with her talking and personality! She was so happy when we told her she was going to become a sister. She loved the baby in my belly and later her new baby brother! She has been an amazing sister always loving on him and playing with him. Many comment on how there children don't play together like they do! As she has started school she has been a bit shy at school but loves it! Ariel loves to learn and is easily taught! And she is so crafty loving to color, play with papers and glue and all things crafty! Ariel is a good friend and enjoys spending time with them! She is described by everyone as a sweetheart and a pleasure to be around. I love her so much and am so blessed that God gave me her! I love spending my days being her mom and look forward to what the years bring! Happy Birthday to my sweet Ariel! I love you forever! Thank you for being you! I look forward to seeing how she grows up, just not too fast! 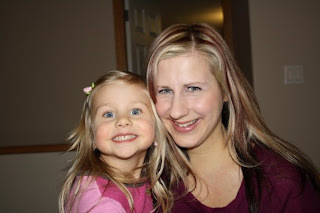 I will be back tomorrow with a post all about her birthday party! Hello! It snowed! Last night the rain turned to snow and we woke up to a blanket of snow! At first you feel dread but having children changes that as they were so excited! All they could talk about was snow and playing in it! I got all excited too! Apparently it's supposed to go to plus 2 C so I don't think it will be here by the end of the day! On Saturday it was beautiful outside so I took the kids to the park we had so much fun and I am really happy we did as it looks like that was our last time for this year! Well I better go it's Monday which means a start to a new week and lots to do! We had a fun busy weekend having friends over on Saturday and spending the day with both sets of parents yesterday! I've been spending a lot more time at home during the week working on my to do list so it was good to get out this weekend! :> Hope your having a great start to the week too! 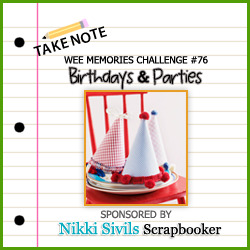 Wee Memories November Blog Hop! Hello! Yay it's Saturday! I am here with our November Wee Memories Scrappy Saturday Challenge Blog Hop! You should have arrived here from Amy's blog! If not please join us and start at the beginning of the hop at Jenny's blog! I am so excited for this week's challenge as I came up with it! 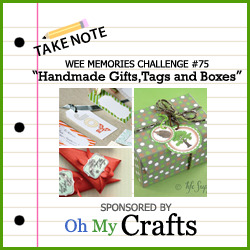 Our challenge this week is Handmade Gifts, Tags and Boxes! And this is our 75th challenge!!! WOW right? 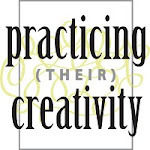 This week our sponsor is Oh My crafts! Make sure to check them out as I am sure they have whatever your looking for and more! Well that's it for me! I hope you continue on with our hop your next stop is Brandi! Cards that Care Blog Hop! Giveway Winner and Exciting news!